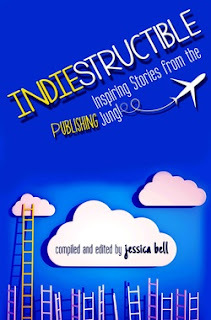 INDIEstructible: Inspiring Stories from the Publishing Jungle is full of essays from authors who have either self-published or signed with a small press. Jessica Bell, whom we've featured here before with her Nutshell series (Show and Tell in a Nutshell, Adverbs and Cliches in a Nutshell) and The Book (a novel), has compiled and edited these wonderfully inspiring pieces, where writers explain why they chose to self-publish while others simply want to share their writing journey or help you to learn from the trenches. Depending on where you are in your writing and publishing journey, one or more of these authors will inspire you--even if you are traditionally published and by a big press because one message rang out time and time again--you must write for the love of it. Writing is supposed to be enjoyable! Another cool thing about this book is that all of the proceeds are going to BUILDON.org, which is a movement which breaks the cycle of poverty, illiteracy, and low expectations through service and education. Check out Build On's website here to see all the positive things this movement is doing for kids and teens. And INDIEstructible is only 99 cents for the e-book! You'll get so much more out of this book than 99 cents worth, trust me--and so do the kids you are helping! One of my very favorite essays in the book is by an author I didn't know before I read his piece. He was so funny, and he made semicolon jokes--I love grammar humor! The author, Briane Pagel, made me laugh out loud while I was reading this book on the treadmill, and the guy next to me kept looking over like I had a problem. So, I find another indie author hysterical--what's wrong with that? Briane is a lawyer during the day. He doesn't write much for money (or so he claims. . .LOL), but he writes for fun, for passion, and he's good at it. Although his essay is probably the longest in the book, I loved every word of it. And I even bought one of his 99 cent books afterwards. (I hope he doesn't read this to see I'm a big fan--how embarrassing would that be?!). Former WOW! blog tour author, Jadie Jones, the author of the YA fantasy MOONLIT (WiDO press), which is another book I love, had an interesting essay, sharing her writing journey and publishing timeline with us. She started out querying agents, had to re-write her book, and more, until she finally saw Moonlit a reality with the amazing WiDo press. To see the entire list of 29 authors who wrote essays, you can go to the book page here on Vine Leaves Literary Journal's website. You will probably recognize some of the names because these are writers who are out there in the trenches every day: sharing their stories, visiting blogs, being active on Twitter and Facebook, and publishing their work. Every essay is heartfelt and meaningful--if you 're even considering self-publishing or a smaller house, buy this book (it's only 99 cents and helps kids!) because the information in it is from real people who have had real experiences. 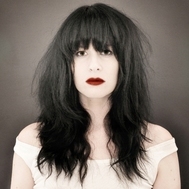 In the introduction, Jessica states, "The purpose of this book is to inspire you to consider indie publishing, i.e., self-publishing or small press. Each of us has our own path. Each of us has our own voice." INDIEstructible is inspiring and SHOWS us in these essays that each writer truly is unique and special! 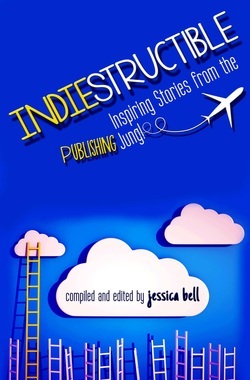 To purchase INDIEstructible: Inspiring Stories from the Publishing Jungle, go here for the different forms. Review by Margo L. Dill; check out her blogs at http://www.thelitladies.com, where she's THE SANDWICH LADY, and http://margodill.com/blog/, where she blogs about children's books because she's also a children's author! Busted, Margo! Jessica posted a link on Twitter and because at least 4 of my senses are devoted solely to finding out when people are talking about me (which I assume is ALWAYS) I came here to check it out. This was the first thing I read today -- I've only just gotten up about 5 minutes ago and my coffee isn't even brewed yet, but you knocked the cobwebs right out of my head. Thanks so much! There is no better way to start out a day than hearing someone say something nice about you. Well, I mean, actually, there is. You could have said something nice about me while I was eating pizza... aw, now I've gone and wrecked the moment. Thanks again! I've bookmarked this and your other blogs and I'll check them out as often as I can! Jessica: Glad you put this book together! I think it is so important. Briane: Oh well, it's important to "meet" your fans. And if the guy at the gym continues to look at me funny, I'll tell him to check out your blogs/books! :) Thanks also for checking this out. Great review-- few of my online writing friends have contributed to this collection. Such a great idea! Thanks for the great review. I'm honored to be a part of this great anthology!